Mizzima, derived from the Pali for middle or moderate and chosen for its inference of an unbiased and independent media, was established in 1998 in New Delhi, India, by veterans of Myanmar’s 1988 pro-democracy uprising. Founder Soe Myint and co-founder Thin Thin Aung participated in the movement for democracy and they were in exile in India as refugees. 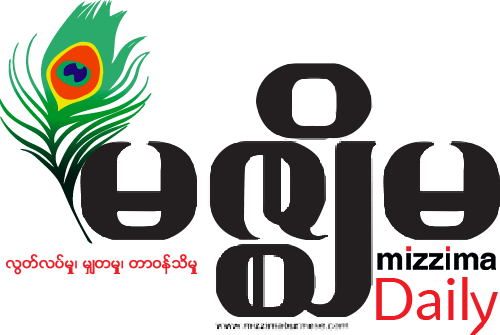 Since its founding the aim of Mizzima has been to provide high quality news relating to Myanmar while contributing toward freedom of expression and the realization of an inclusive and democratic Myanmar for all the country’s peoples. Mizzima operated for nearly 15 years as an exile-based media organization, with a liaison office in Chiang Mai, Thailand, complimenting the organization’s headquarters in India. However, in the wake of domestic reforms in Myanmar implemented following the onset of parliamentary governance in 2011, Mizzima, in 2012, became the first formerly exile-based media organization to gain incorporation as a local media entity, registering in Myanmar as Mizzima Media Co. Ltd.
Today, Mizzima produces an array of multi-media products and can claim to be one of the top five private media houses in Myanmar. Our current production lines include our long-standing Burmese and English language websites (www.mizzimaburmese.com and www.mizzima.com) along with a digital daily newspaper in Burmese and weekly English language magazine. Moreover, in 2017 Mizzima was awarded one of five licenses to operate an independent Free-to-Air digital TV channel (www.mizzima.tv). This crowning achievement is further recognition of Mizzima as a major media power in Myanmar, buttressing our national outreach and influence. As Myanmar continues to evolve following decades of authoritarian rule, Mizzima further prides itself on our active cooperation with other national and international stakeholders in the media reform process in Myanmar, including extensive working relationships with ethnic and regional media houses throughout the country. It is not an exaggeration to say that every day and week thousands – including a diverse international audience in addition to Myanmar’s domestic consumer base – turn to Mizzima for the latest information and analysis of events impacting Myanmar’s continued development. Following the entrenchment of Mizzima as a for-profit domestic media house with our Yangon headquarters, Mizzima Foundation was established as a non-profit entity to further serve the people of Myanmar in keeping with the original mission of Mizzima. It was established in 2015 as part of the Corporate Social Responsibility (CSR) arm of Mizzima Media with the aim of supporting knowledge-based social interventions that foster the unity and integrity of Myanmar while contributing to the peace, security and development of the country. As a CSR wing of Mizzima Media, the Foundation is set up for the purpose of serving Myanmar society by contributing to social change and economic development in ways that are consistent with and complimentary to our core media business while simultaneously nurturing a broadly inclusive and prosperous Myanmar. Mizzima believes that only with the security of a free and vibrant media in Myanmar, can the country’s full potential be realized. As such, Mizzima is proud of our legacy as a founding member of independent media in Myanmar and looks forward to growing and prospering in tandem with the country over the years and decades to come.